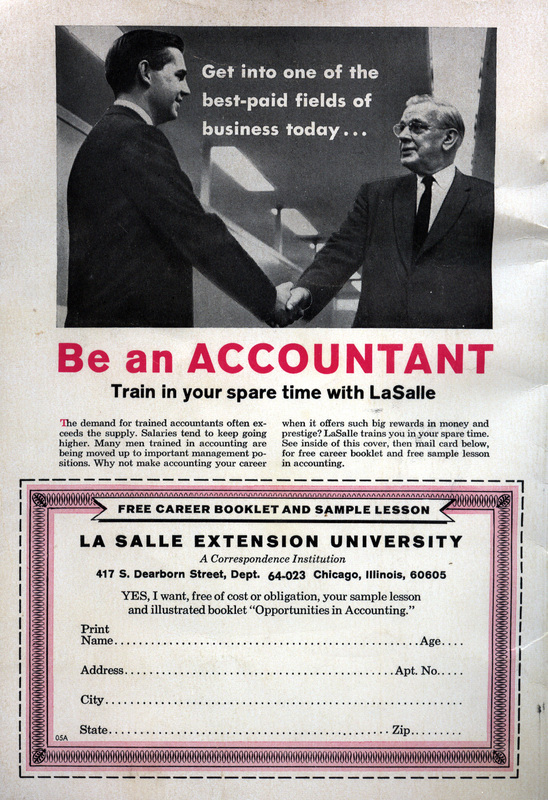 Sexist ad on the back cover of Ranch Romances & Adventures (May, 1971) which clearly states that men who are trained in accounting are being moved up the ladder to important management positions. Way to go, LaSalle. Did the coursework include how to belittle the female accountants and ways to chase the secretary around the office?